Our superbly smooth stout.Brewed for those who know... "A roasted barley aroma, a deep, dark colour and a smooth-yet-dry taste: all the hallmarks of an exquisite stout. "...and those who don't We brew Dark Side using a blend of dark roasted malts and an old fashioned (and rather famous) English hop called Fuggles. These fine ingredients (plus our brewers' skill and patience) have helped to make this an impressive and seriously smooth stout. 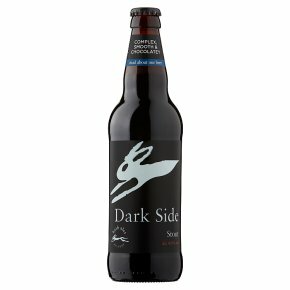 Fine filtered for quality, Dark Side likes to stored and served cool.